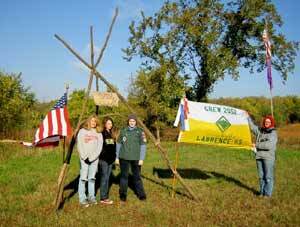 BSA Venturing Crew 2052 is an all girl crew chartered to St. Margaret's Episcopal Church in Lawrence, Kansas. We are part of the Pelathe District in the Heart of America Council. We have been active since our beginning October 2002. The crew is open to girls who are 13 years old AND out of 8th grade. If you would like to check out our crew please stop by one of our meetings or contact us for more information. We meet the second and fourth Thursdays of each month, 7:00-8:30pm at St. Margaret's Episopal Church, off west 6th Street, Lawrence, Kansas. Click here for Mapquest directions. 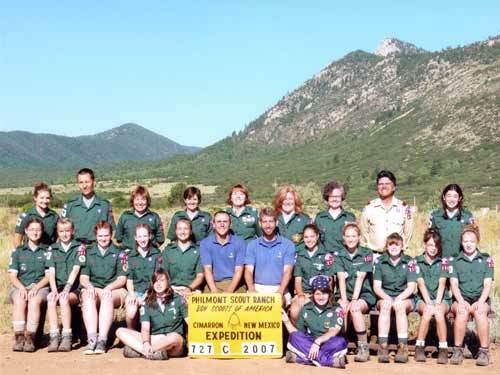 Check out a Philmont gear presentation created by former crew member, Carol Fittell.